Local outlets: Farm gate (both 864 Cottlesbridge-Strathewen Road, Arthurs Creek, 3099 and 1105 Whittlesea-Kinglake Road, Kinglake West, 3757). Available February to November. 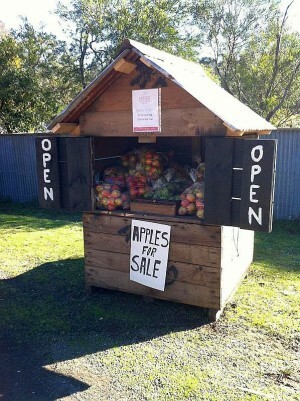 Apted’s Orchards is a family owned company. 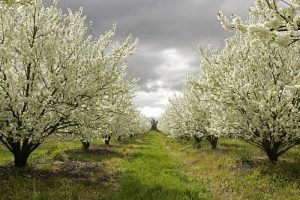 It operates an orchard and grazing enterprise from Arthurs Creek and Kinglake West north east of Melbourne that has spanned 5 generations. The farm gate sales at 864 Cottlesbridge-Strathewen Road Arthurs Creek are proving very popular, with 2kg bags of apples straight from the bin – that is, unwaxed and unsorted. Farm gate sales also operate from 1105 Whittlesea-Kinglake Road, Kinglake West. Wholesale marketing is done through the associated Melbourne Pear Company which operates out of the Footscray Wholesale Market. Petty’s Orchard occupies 44 hectares of land and encompasses an antique apple orchard, commercial orchard, wetlands and bird hide. 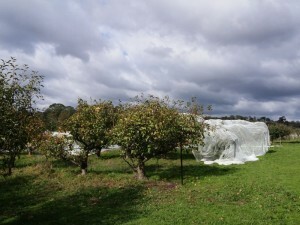 It is one of Melbourne’s oldest commercial orchards. It has the largest collection of heritage apple varieties on mainland Australia, including more than 200 varieties of old and rare apples.